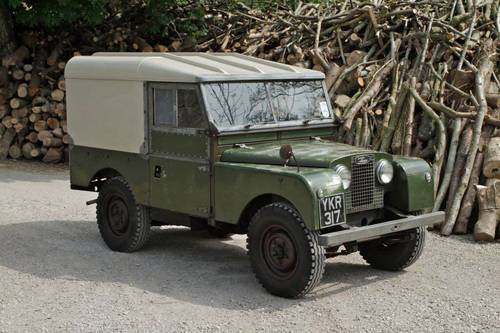 A rare opportunity to acquire an exceptionally original, unmolested & Very Desirable 1957 Series 1 Land Rover 88” Hardtop. Collectors Piece! One to be cherished. Built on 31st January 1957 and first registered on 27th February 1957, with under 38,000 Miles from new and only 4 previous owners from new. This is by far the very best example of a Series 1 88” hardtop in existence to my knowledge. Unique in such original condition this example was first supplied new to a gentleman in Gillingham Kent. 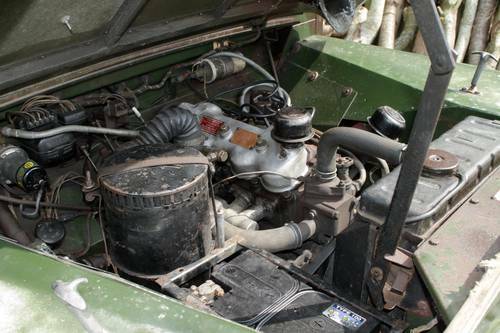 The vehicle was then sold to Bulls Brow Farm in Sussex and then to Rodney Briggs in Sussex where it remained in his garage with little use until 2009 when it was recommissioned. The vehicle really does speak for itself, it has all it's original fly screens fitted, Lucas heater and 700 X 16 tyres which were all optional extras at the time. The hardtop roof is in excellent condition and has no dents or scratches. The chassis is near perfect as the best we have ever seen on an unrestored vehicle. It has had a small repair to the rear crossmember only. 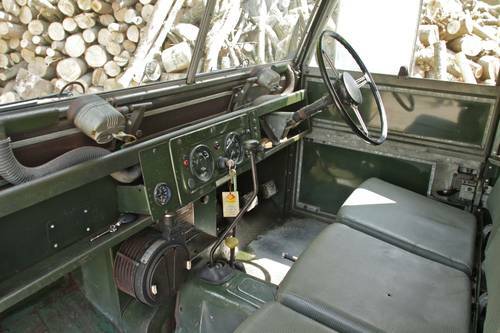 The interior is exemplary - by far the best original Land Rover Series 1 it still has it's original Land Rover fitted seat cushions. It still retains all it's original triplex glass in the windscreen, door tops, backdoor and hardtop. All windows open, all the window channels are good and because the vehicle has been kept under cover and not rusted away as so often is the case. The load area is exceptionally clean and doesn't show any sights of heavy use. One of the best original engine bays we have seen on a Series 1, extremely clean with original stickers still in place.Original paint to engine block. The factory fitted engine busts into life on the turn of the key. It is apparent that this is a vehicle that has been maintained and it runs as quiet and smooth as any Series Land Rover that we have ever had. The steering is as it should be and the vehicle doesn't wonder on the road like some series vehicles do. This vehicle doesn't have the wear in all the usual places. 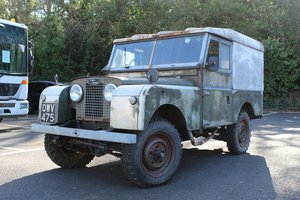 On offer is an unmolested and original Series 1 88” Hardtop in amazing original condition. All the numbers match - the chassis numbers on the plates are the same as on the log book registration document and that stamped on the chassis itself. The engine number also matches that recorded on the logbook. All other original documentation is present and too be kept with the vehicle. This is one of the best low mileage and original untouched Series 1’s we have ever had the opportunity to own. 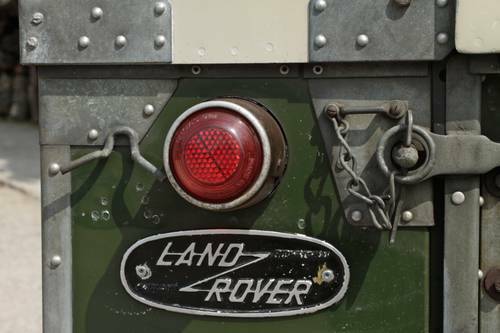 This Land Rover has obviously been cared for and cherished by its previous owners who have owned her for 61 years. You will have to go a long way to find a better vehicle in its original patina. If you are an investor you will already know the growing importance of original un-messed with condition for classic cars. 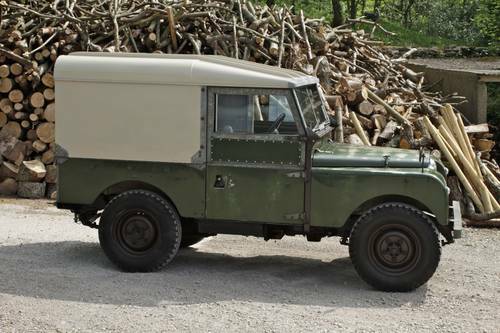 You will also know that Land Rover never used galvanised chassis for production of Series 1 88” vehicles - so one that's been fitted with one cannot by any stretch claim to be original and un-messed with. If you are an enthusiast then you will not be disappointed with this vehicle as it is perfect in almost ever detail and is exactly as it left the factory 61 years ago. 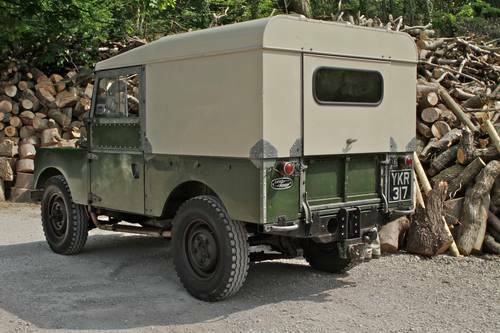 This is a very honest 61-year-old Series Land Rover and would make a welcome addition to any collection. Low mileage, condition, and originality will contribute greatly to the value of any classic. 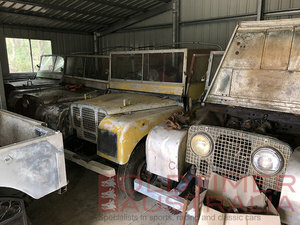 Anybody can restore a Land Rover to a certain standard however you can't make anymore-original patina vehicles, low ownership vehicles and so for that reason these vehicles are becoming increasingly harder to find and so any opportunity to buy one shouldn't be missed.